There are people you meet and think, That person is a teacher. They have a certain openness about them, a nurturing warmth that invites you to hear what they have to say. They have patience, knowledge to share, passion for sharing it. Their carriage inspires respect—you want to please them. And they’re not only knowledgeable, but they’re also constantly learning, improving themselves and finding new ways to reach each and every student. Yeah. Those people are amazing. Because I’ve never felt like one of those people, I’ve always avoided teaching. I don’t have any knowledge to share, I thought. I should wait until I’m the best player I can be before I try to tell anyone else what to do. And what’s more, teaching, and especially teaching children, felt too important for me to mess up. After all, education is a huge part of creating a future for our art. Even if the young students of today don’t go on to become professional musicians, they gain an appreciation for music. They may seek out symphonic music as adults, helping the art survive just through their presence, and eventually pass that love on to their own children. But education is a world all its own, and the idea of entering into it always felt intimidating and foreign to me. So I only took the one required pedagogy class in school. I looked at my friends getting Suzuki certified and thought, maybe I’ll get around to it someday. I was gigging enough in the regional orchestras near my schools that the steady income of teaching wasn’t enough of a draw. I imagined that, if I ever became a teacher, it would be as a college professor, after a long career of playing in high-level orchestras, teaching the skills I had spent a lifetime perfecting. In fact, I made it all the way to 25 without ever having had a teaching job—without ever even having a single private student. Out of all the Fellows, I’m the one with the least prior teaching experience (none). Luckily, the Civic Fellowship has been there to push my boundaries, even when I wasn’t ready to. The Chicago Youth in Music Festival has been a trial by fire for me, both years we’ve done it. The Fellows have spent the past month visiting different community music programs around the city and working with their students. 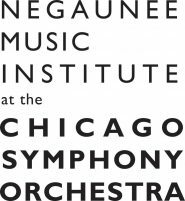 We were in residence at Merit’s Bridges program at Chopin Elementary, El Sistema Ravinia at Catalyst Circle Rock, the Chicago Metamorphosis Orchestra Project (ChiMOP) at Mary Lyon Elementary, and the People’s School of Music at Hibbard Elementary. All of these schools have vastly different programs, populations, expectations, and needs—but they all needed us to be able to jump into the thick of things as soon as we arrived. We had limited time at each program, after all—we had to make the most of it. Last year, that first day at Chopin was terrifying. I had never before sat down with a kid and tried to teach them. How old were they going to be? How many of them would I have at a time? What were my lessons like when I was that age? My mind was blank. I think I did scales? Were they beginners? What would they already know, and what did they need to learn? I don’t have a plan; am I supposed to have a plan? What should I do if there were discipline problems? And could I teach anything useful in less than a week? There was a ball of dread sitting in my stomach, hard and heavy, weighing me down. I’ve been more lighthearted walking into major symphony auditions than I was walking into that elementary school. Over the course of the the Festival, of course, it stopped seeming so scary. There’s a magic in facing your fears, over and over again, because you have no other choice. I found my footing. The kids weren’t so intimidating—they were just kids, and responsive, sweet ones at that. I found that it wasn’t so hard to pick out things to work on, and I started remembering how old teachers of mine had addressed some of the same issues. Some of them still read music by naming the finger they were using; some understood key signatures. So sometimes I misjudged their level, but it was okay. When I used terms they didn’t know, I just had to explain what they meant. I learned, for the millionth time, just how useful slowing down can be, whether you’re working on a major orchestral excerpt or Essential Basics for Strings. And when all else failed, I looked to Davis (who is one of those natural teachers I described) for cues on what to do next. Of course, after the 2015 Festival, my day-to-day life didn’t change. I went back to preparing for orchestral auditions, and I didn’t teach again for the intervening year. So this year, when I walked into Chopin, I felt the ghost of that same ball of dread in the pit of my stomach. I reminded myself that I had survived last year, and dove in. That’s when the really interesting thing happened. The kids remembered us. I remembered them too. The violists I had taught last year remembered things I had worked on—a year ago! And they had improved so much! One girl let me help her prepare her high school audition piece; another told me she wants to be a professional musician when she grows up. Even the kids who aren’t as advanced had improved, and they were even more excited to come downtown and play with us than last year. That’s when it clicked for me. This is why people teach. It’s not because they have all the answers; no one does. It’s because they get to create connections with these young people as they grow. There’s a sense of accomplishment in conquering something difficult through your own practice, but seeing the joy a student gets when you help them figure out their own tricky passage—that’s a sense of accomplishment that, while different, is absolutely equal. Their improvement over time could be even more exciting than my own. Teaching is something you have to learn like anything else. You can learn theories and methods for success before you start doing it. You can have a plan before you go in. You can understand why people do it and what you can hope to get out of it. But none of that’s real until you’re actually in a classroom, with a student, trying to explain that this note needs to be F sharp, not F natural, even if only because it’s printed as an F sharp—and then having to go back and explain the difference between the two. And I’m so glad that the Civic Fellowship’s work with the Chicago Youth in Music Festival has given me a chance to learn. Because now I know—teaching isn’t too important to mess up. But it is too important not to do.